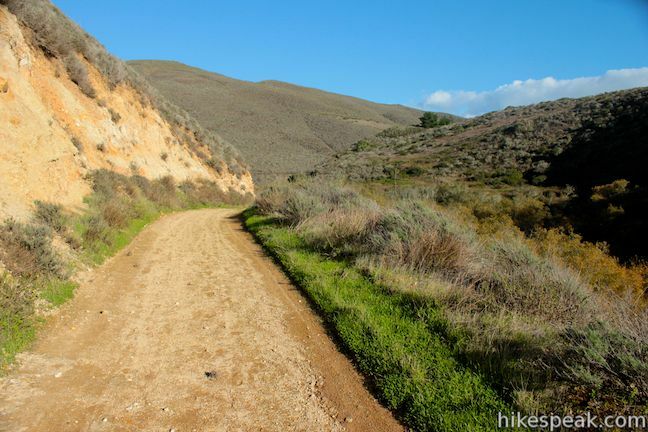 Montaña de Oro State Park has a couple lengthy level hikes. 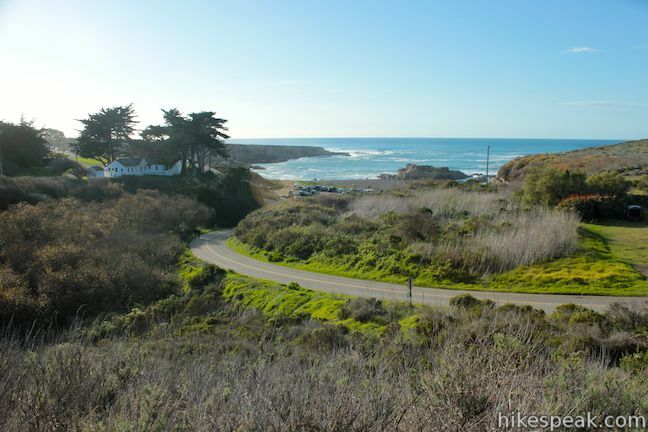 If you desire ocean views, you can’t do any better than the Bluff Trail. 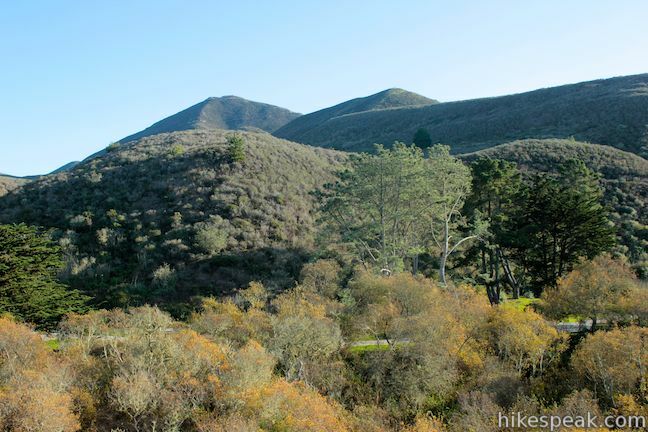 If you would rather hike up a canyon flanked by thousand foot peaks along a creek that even has a small waterfall, the fitting trail is Islay Creek Trail. 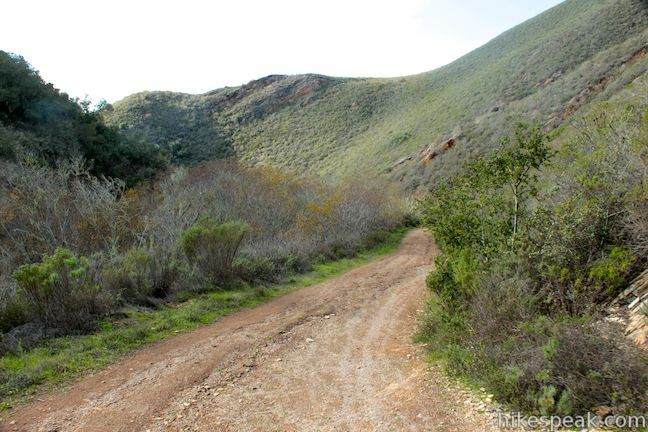 The rolling 3-mile long dirt road has 300-feet of easy elevation change. 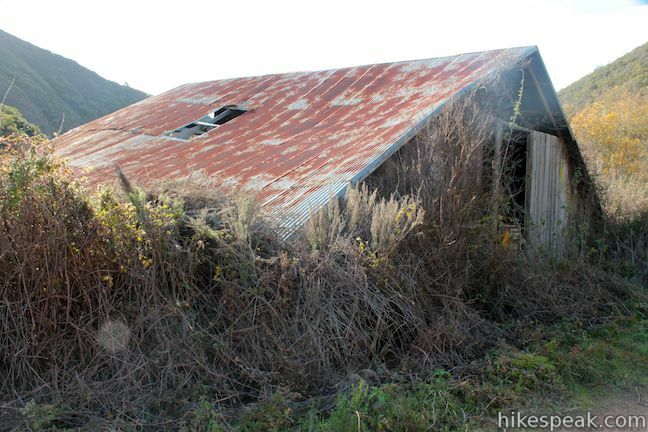 Just before the trail ends at the eastern boundary of Montaña de Oro State Park, you will come across an abandoned barn that makes a good turn around point for a 6-mile round trip hike. 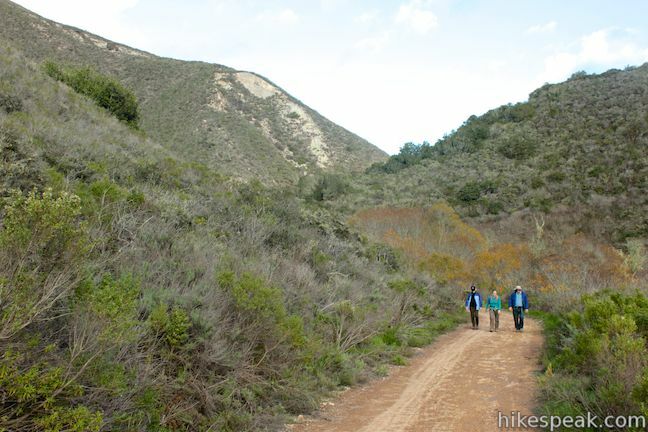 The trail start at the bottom of Islay Creek Canyon, where the stream meets the sea at Spooner’s Cove. 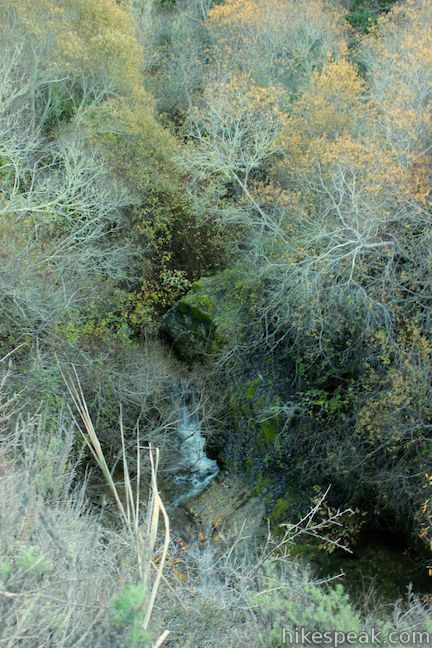 Looking across the mouth of the canyon, you’ll spot the park visitor center inside the old Spooner’s Ranch House. 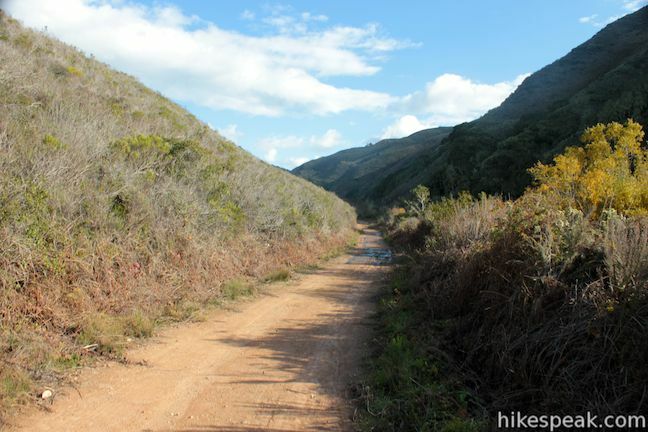 Head inland up the wide dirt trail, leaving the ocean behind. 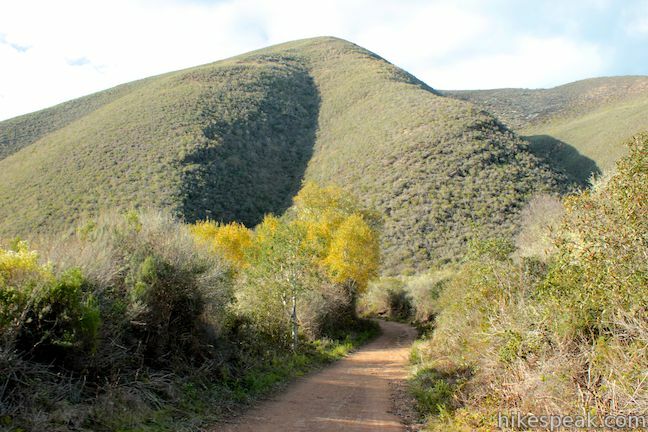 You’ll notice a long carpet of sycamores covering Islay Creek in the canyon below the road. 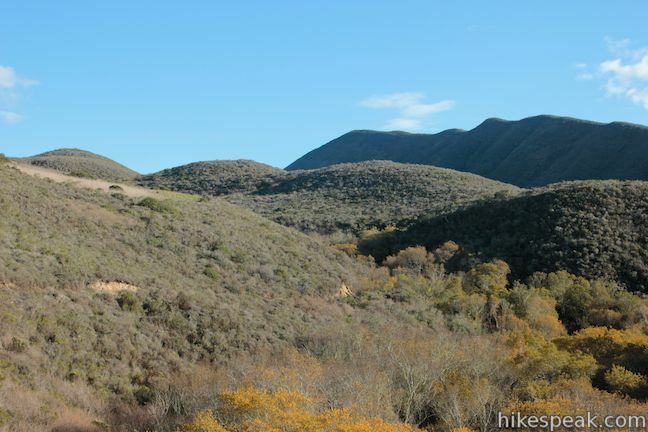 On the opposite bank is the park’s campground, and above the south bank of the canyon is the pyramid-shaped summit of Valencia Peak. 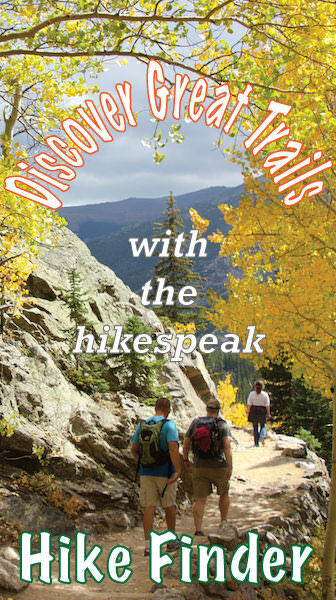 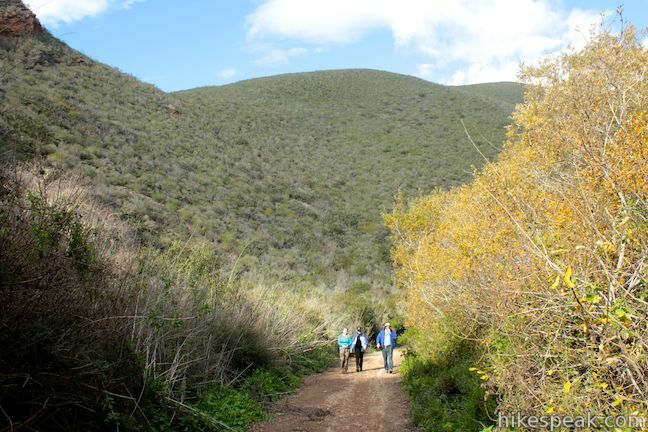 As the trail progresses inland, you’ll get a view of one of the park’s other major peaks, Hazard Peak, just north of the canyon. 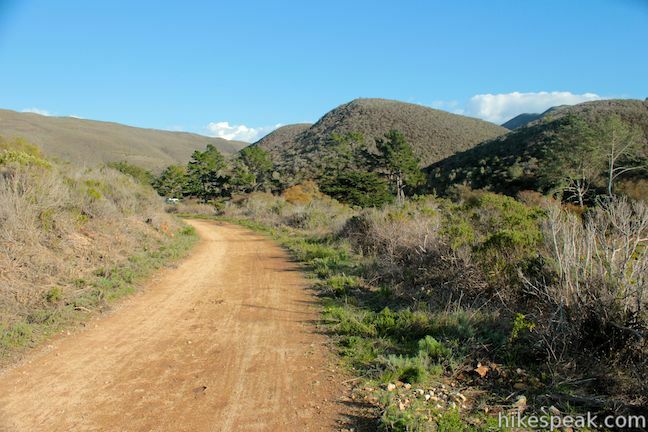 After 1.1 gradual miles curving along the north side of the canyon, you’ll pass a junction with a connector trail to Reservoir Flats Trail. 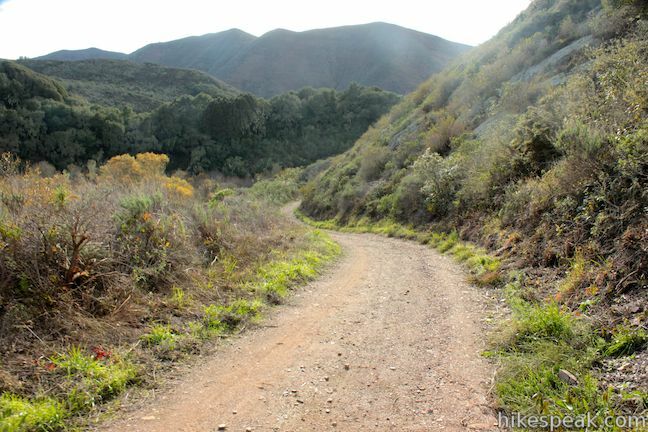 Stick with the wide main road and continue up Islay Creek Canyon. 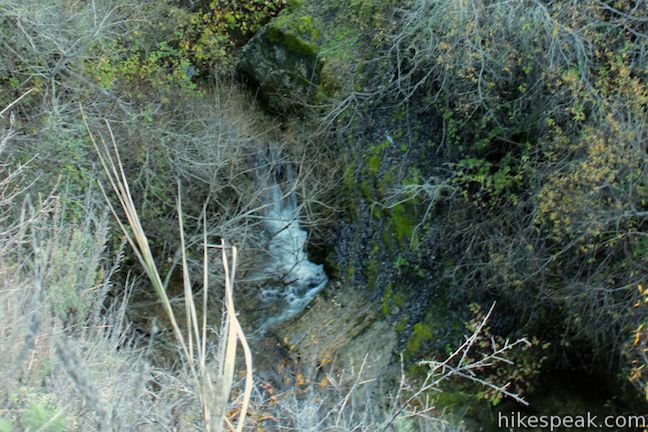 After another quarter mile, you’ll spot a short waterfall in the creek below. 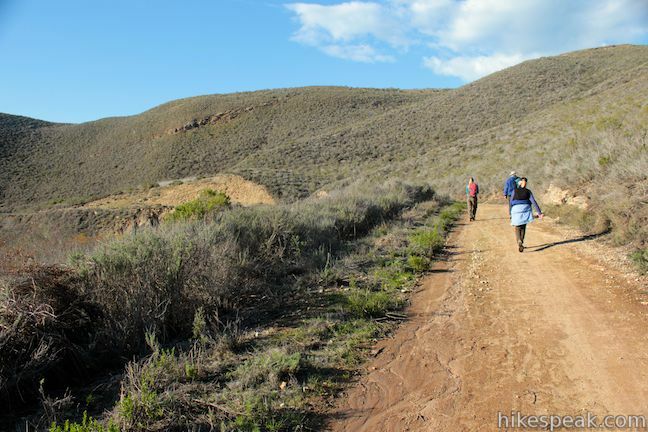 The trail continues an eastward course up the canyon just above the creek. 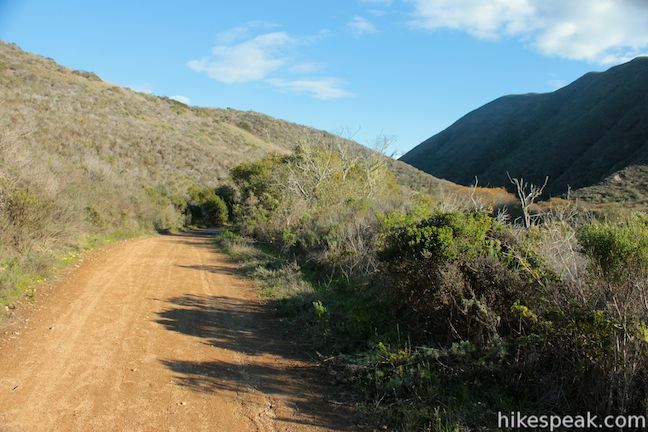 About halfway between the coast and the barn, Islay Creek Trail turns temporarily downhill, before renewing its gradual ascent. 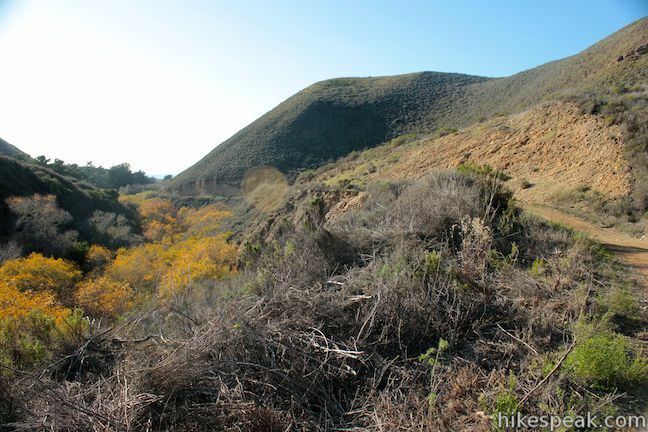 As you climb again, Islay Creek Canyon widens to allow broader views of the surrounding mountains. 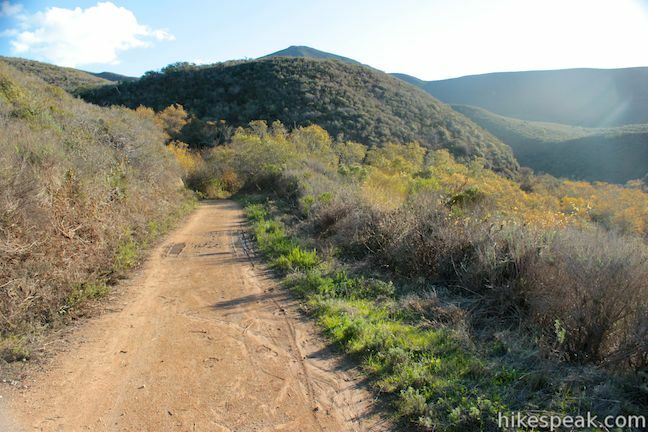 At 2.85 miles from the start, Islay Creek Trail comes to a junction with Barranca Trail. 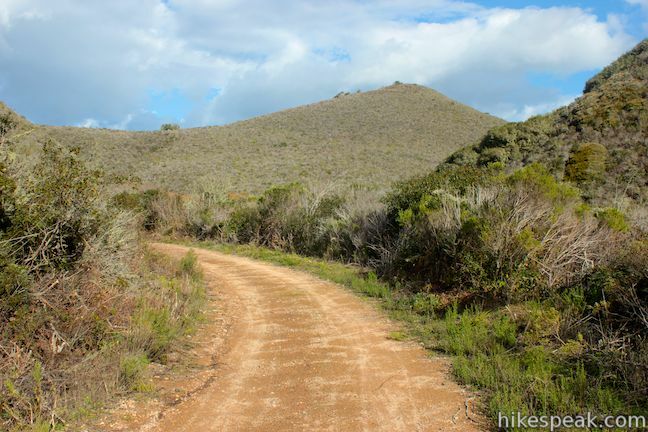 The single track breaks off to the left heading up a ridge toward a junction with East Boundary Trail. 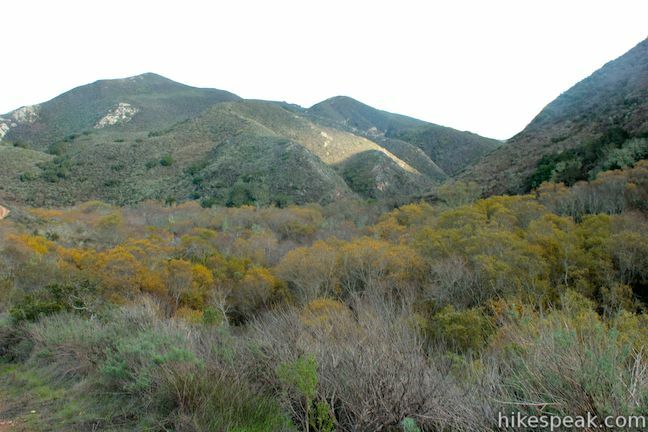 Barranca Trail can be used to form a loop (Hazard Peak – Islay Creek Loop) connecting Hazard Peak Trail and Islay Creek Trail. 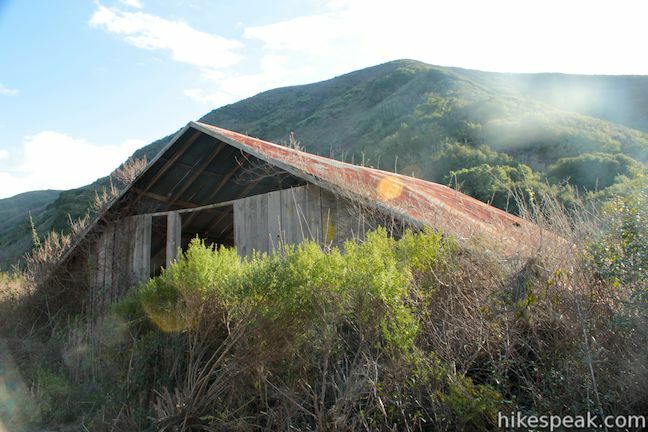 Continue through the junction with Barranca Trail and you will quickly arrive at a dilapidated barn with a tin roof. 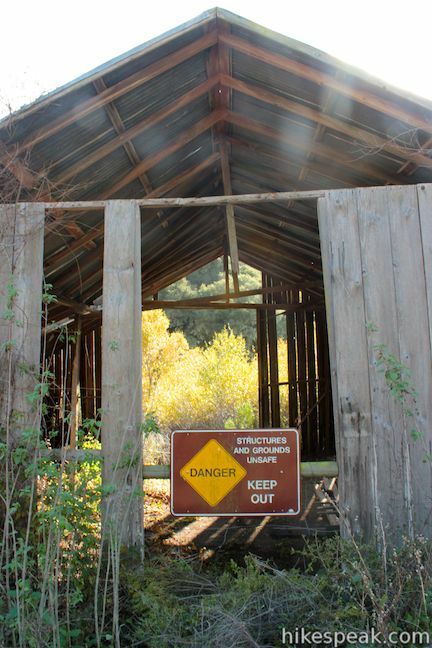 It is unsafe for hikers to enter the old barn. 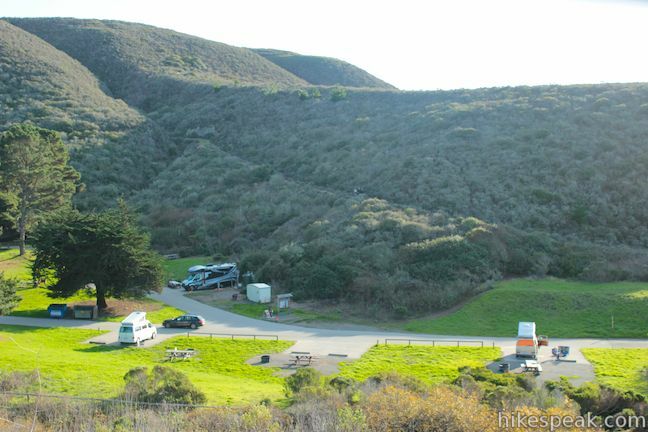 Nevertheless, the landmark makes a suitable turnaround point. 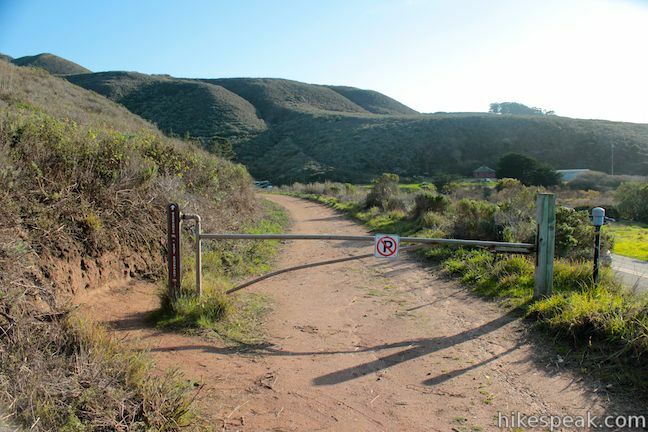 Just ahead, the trail reaches a gate at the east boundary of Montaña de Oro State Park where you can hike no farther up Islay Creek Trail. 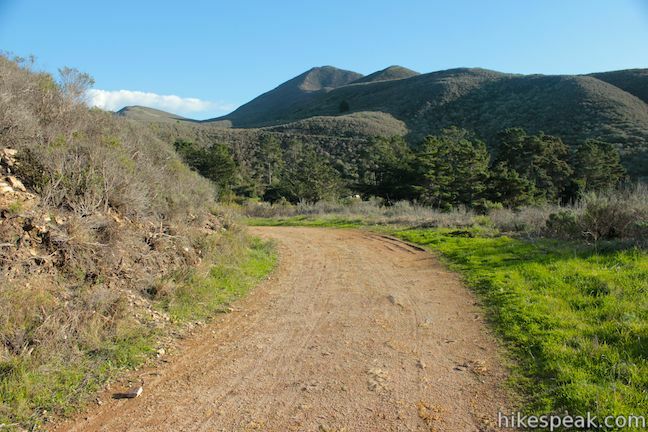 To the barn and back is 6 miles round trip with 300 feet of elevation gain. 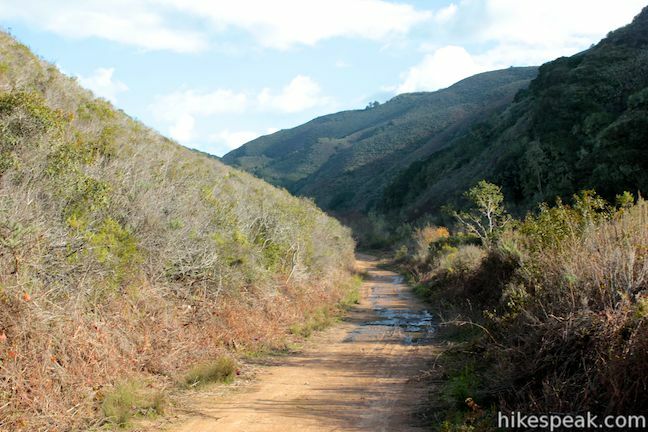 Dogs are not allowed on Islay Creek Trail but mountain bikes are. 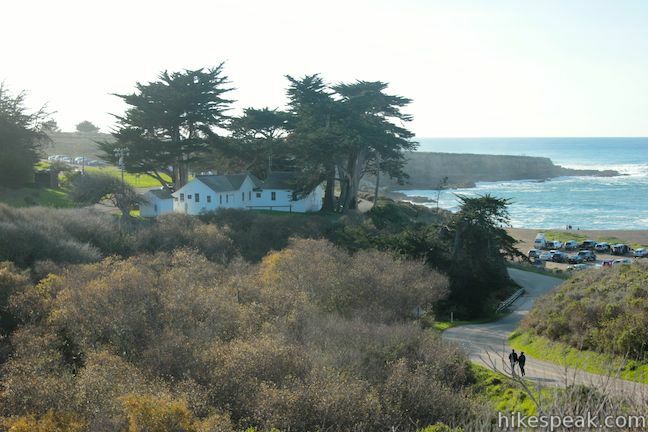 No fee or permit is required to hike in Montaña de Oro State Park, so get out and enjoy! 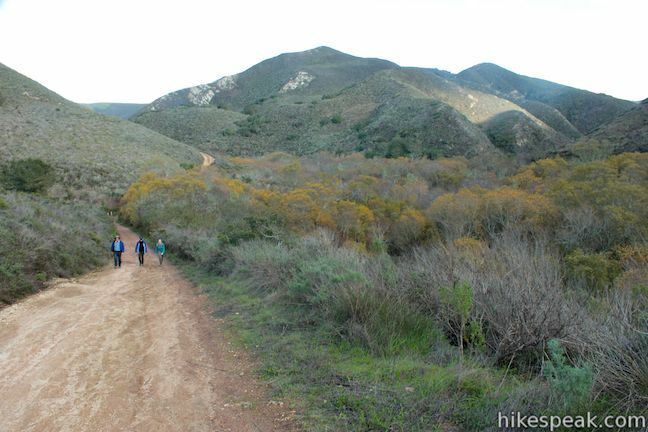 To get to the trailhead: From San Luis Obispo, exit Highway 101 at Los Osos Valley Road and drive northwest toward Los Osos. 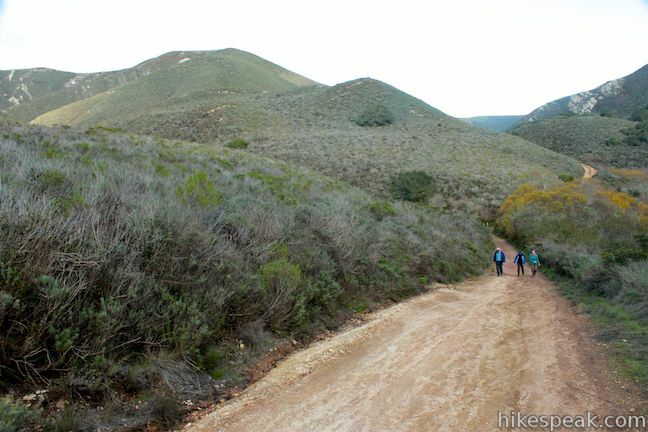 After 11.2 miles, Los Osos Valley Road becomes Pecho Valley Road and turns sharply to the south. 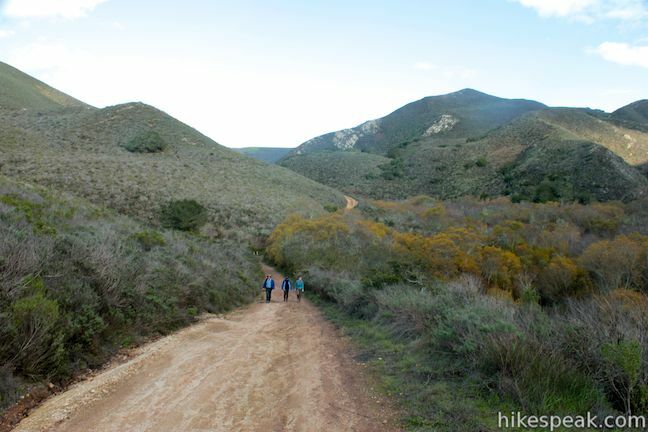 Continue the final 3.3 miles, entering Montaña de Oro State Park and passing through a eucalyptus grove before reaching the trailhead for Islay Creek Trail on the left, just after a larger parking area for Hazard Peak Trail and just before Spooner’s Cove. 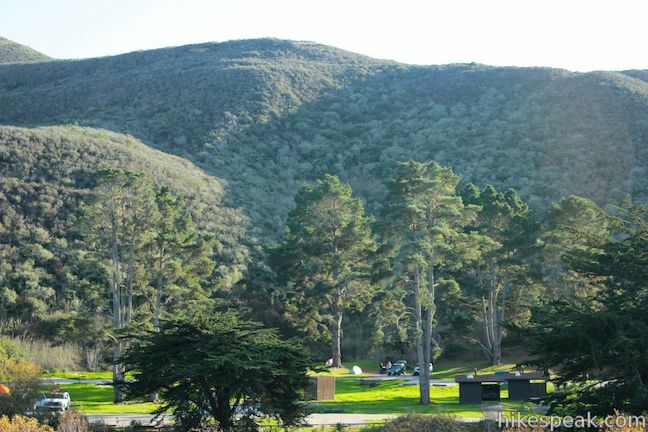 What is the name of the ranch that lies South of the park beyond the locked gate? 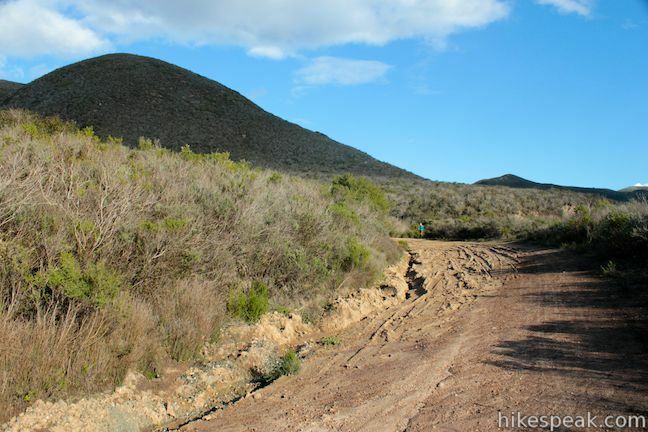 Who owns the large two story wooden house in the trees beyond the southerly locked gate and for what is it used?